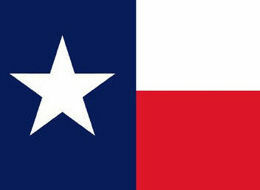 Lone Star Watchdog: Ron Paul Suppporters: Lets Crash Romney's Rallies in Texas with a Smile! Ron Paul Suppporters: Lets Crash Romney's Rallies in Texas with a Smile! I would put money down telling everyone. We would outnumber Mitt Romney's supporters at his own rallies. If you decide to do this, please do not disrupt Mitt when he is speaking and be nice most of all. Show class and dignity do not make a scene or be rude. Wear your Ron Paul colors proudly but show Mr. Romney and his supporters courtesy and kindness. If Mitt shakes your hand, show him genuine Texas hospitality. Start acting in ways that shows we have character, Show graciousness and be real. Never show intent to create hostility, malice and animosity toward Mitt Romney, his staff or his supporters. We must lead by example. Mitt Romney will not have Texas because this is Ron Paul territory. We will prevail here. We have to demonstrate that Mitt Romney does not have the support the media portrays. Attending his rallies out numbering his supporters might shatter the illusion of Romney's front-runner status as just an illusion and not a real grassroots movement. The purpose of going to Mitt Romney Rallies as Ron Paul supporters is to let the media and the establishment know we will not be defined by their deception. As a nation, we are in a do or die situation for our very survival not as a nation, but as a people. We cannot be afraid what they will try to do to us. How they will try to smear us. We have to do everything in our power to demolish the political and media machine. We are so close to breaking the media's silence with Ron Paul and the political establishment's lack of respect for the strength of Ron Paul's support. Go to Romney rallies; wear your Ron Paul colors proudly. Show respect, be courteous and do not be disruptive. Do not heckle Mitt. Show good character. Do not do anything stupid they can use against us. Let us show the world that we are serious about Ron Paul the Texas congressmen are here with him to win.